(Oak Brook, Illinois) November 10, 2018—The final phases of the multi-year, $25 million transformation of the Hilton Chicago / Oakbrook Hills Resort and Conference Center are now complete. Fueled by a desire to be regarded as one of the leading resorts in the Midwest, the Prospera Hospitality managed property has created a new vision and identity centered on modern design and innovative resort culture. 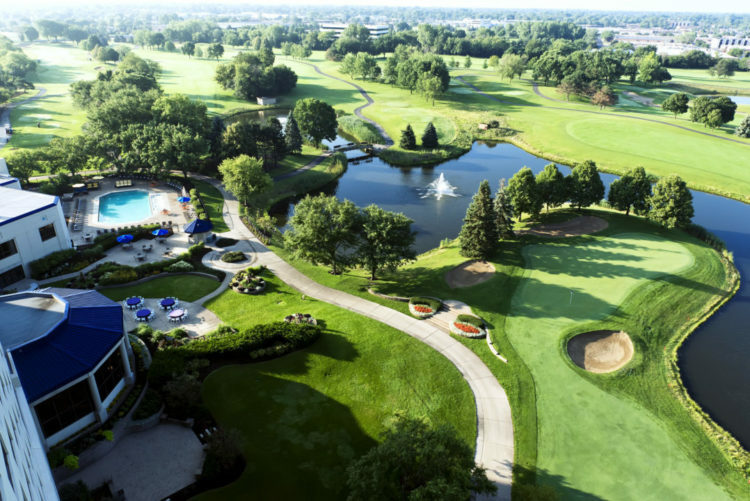 Conveniently located just 18 miles west of downtown Chicago in upscale Oak Brook, the Audubon and IACC certified resort positions itself as an Illinois premier destination for business, leisure, and recreation. “This concluding full room renovation phase to our 386 guest rooms and suites is the crowning accomplishment to this transformational three-year project,” said Hilton Chicago/Oak Brook Hills Resort and Conference Center’s General Manager, Steven Ellingsen. “Our passion is to provide a resort experience unrivaled in the region”. Led by Chicago-based, award winning architectural firm, O’Kelly + Kasprak, the modern mid-century influenced design is themed throughout the resort, from the public spaces to the guest rooms. The reinvigorated atmosphere and modern design are open and bright by day, dramatic and seductive by night. A clever, whimsical nature to the art and surfaces injects a bit of fun with scale and texture balanced by an air of impeccable service and comfort. O’Kelly + Kasprak have incorporated elements throughout the resort like shimmers of brass, worn gray chic stones and warm leathers that imply a sense of the history to the resort, while a calming palette and clean lines of contemporary, sculptural furniture feel modern. Iconic statement pieces that carry a story through time are coupled with historic artwork and design details that embrace Oak Brook’s deep rooted recreational past tied to the game of polo. In adhering to the highest standard possible, guest room full renovations include: a new dynamic color scheme to the carpeting, furniture and window treatments, ceramic tiled entryways and bathrooms, bathtubs converted to walk in showers with stone surround and basin, designer bathroom fixtures, custom wood barn bathroom doors, updated corridors with new carpet, surfaces and LED lighting, and much more. When guests escape to rest and relax, the guest rooms offer cozy comforts of home with simple touches of luxury – emphasized by captivating views of the resorts renowned Willow Crest Golf Club situated on our 150 acre Audubon certified sanctuary grounds. With all phases of the transformation completed, the Hilton Chicago/Oak Brook Hills Resort and Conference Center has completely reinvented our brand. O’Kelly + Kasprak’s modern new experience focuses on three main components: emphasize “resort culture” and the resort’s captivating views; enhance appearance and functionality of the meeting, public space, and guest rooms; and improve the flow and design of the restaurant and public space. Complete design transformations have been done to the following areas; lobby, rotunda, all 42,500 square feet of IACC conference center meeting space including the Grand Ballroom and 36 meeting rooms, amphitheater, executive lounge, indoor/outdoor pools, Fitness Health Wellness Centre, Willow Crest GC Learning and Performance Center, Monarch Spa, themed gastro pub “Tin Cup” and signature farm to table restaurant “B”. “Not only have we transformed the resort with a world-class makeover,” added Ellingsen, “we are equally as proud of the passionate culture we’ve instilled here as well!” Since the three-year transformation began, Ellingsen has encouraged the resort team to embrace the “heart of a servant” philosophy, ensuring guests experience the positive energy of the resort and that our passionate people and service-driven culture define the resort. 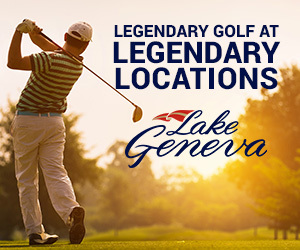 “Whether you’re traveling for business or enjoying a well-deserved staycation, we invite you to visit the new Hilton Chicago/Oak Brook Hills Resort & Conference Center and experience all we have to offer,” he said. 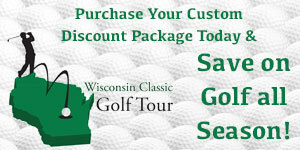 Jason Kauflin is the owner of Wisconsin Golf Trips, a custom package provider. 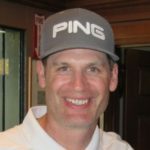 He has been a strong supporter of The First Tee since his daughter, Rachel, got involved with Southeastern Wisconsin chapter in 2007. Jason says that getting to share his passion for golf with his daughter is the greatest thing that game has ever given him.